Exceptional support and inclusive care for families welcoming babies in the Jacksonville, FL area. What can I expect from The Jacksonville Baby Company? Expect the best! You’ll be met by the industry’s most compassionate, professional, and non-judgemental individuals. Our passion and expertise can’t be beaten. With over 60 years of combined experience between us, we are the preferred choice for all things postpartum and infant care related. You can expect a team-model with a built-in backup system in place. That means you will always be met and supported by a member of our team. You’ll never be left without support when you need it most or be sent someone who hasn’t been thoroughly and properly trained, screened, and compensated for their skills and time. We care about our specialists as much as we care about each of you and we’re ready to meet your needs! In a few words, what is a postpartum and infant care specialist? That’s a fancy way to say someone who is experienced in providing essential help at home after giving birth or adopting! In effect, a postpartum and infant care specialist is an extra set of hands, an excellent listener, parent-helper, tidy-upper-er, and baby whisperer, with the expertise only a knowledgeable professional can offer! Honestly there just isn’t enough support out there for parents who are scheduling their birth. There is an entire community out there built around “natural” birthing families. Meanwhile, those who are doing what is best for themselves and babies by scheduling their birth are hung out to dry. Well, we don’t buy into the drug-free, crunchy lifestyle being “best” for all families, because it’s not. It’s our niche! We teach classes to help all families prepare for birth in the way that is best for them, vaginal or cesarean, drug and intervention-free or medicated, but the only birth support we provide is for those who are scheduling their cesarean. It’s simple really, cesarean births are worthy of support too! Our clients, along with thousands of other new mothers swear by placenta encapsulation. Reported benefits include: more energy, a healthy breast milk production, fewer signs of postpartum sadness, a faster recovery time, and less pain. 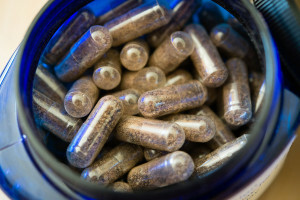 We have many blogs written on the topic of placenta encapsulation. Where do I get placenta capsules? You should only ever ingest placenta capsules made from your own placenta. The Jacksonville Baby Company doesn’t recommend ingesting anyone else’s placenta. Not only is is it not advisable, but it could be very dangerous to your health. Taking a friends capsules or capsules made from a donated placenta can be extremely dangerous. Allowing someone to pick up your placenta and drop-off capsules can be extremely dangerous! One should exercise due diligence and caution when selecting someone to provide this service for them. Something you should always consider is bloodborne pathogens and handling. If you don’t know 100% that the placenta in the capsules you’re taking belong to you and no one else then you don’t know what bloodborne pathogens are contained within the capsules. The Jacksonville Baby Company is the ONLY placenta encapsulation provider in all of Northeast Florida and Southeast Georgia who has the No Doubt Guarantee for every client, every time! We’re proud of our standards! You will never accidentally end up with someone else’s placenta capsules, EVER! It’s not possible! Contact us today to find out what you need to do before birth to prepare for placenta encapsulation. I have my placenta in my freezer, I wasn’t sure what, if anything I could do with it. Can I still encapsulate? Depends on a number of factors such as; how it was handled before freezing, how it was frozen, how long it’s been in the freezer, and if the temperature has been properly maintained the entire time. Contact us and let a professional help you decide! What is a placenta tincture and do I want one? In short, unless you are a recovering alcoholic I would highly recommend getting a tincture or even two! You can read more here about tinctures to learn what it is and why you might want it! What hormones are found in the human placenta? Oxytocin: known as the love hormone and to decrease pain and increases bonding, counteracts the production of stress hormones such as Cortisol, enhances the breastfeeding let-down reflex. Prostaglandins: Regulates contractions in the uterus after birth; helps uterus return to its pre-pregnancy size. Anti-inflammatory effects. Iron: Iron helps to combat anemia, a common postpartum condition. Increases energy; decreases fatigue and depression. Human Placental Lactogen (hPL): This hormone has lactogenic and growth-promoting properties; promotes mammary gland growth in preparation for lactation in the mother. It also regulates maternal glucose, protein, and fat levels. Prolactin: Promotes lactation; increases milk supply; enhances the mothering instinct. Corticotropin Releasing Hormone (CRH): Low levels of CRH are implicated in postpartum depression. Regulation of CRH helps prevent depression. Placental Opioid-Enhancing Factor (POEF): Stimulates the production of your body’s natural opioids, including endorphins; reduces pain; increases well-being. Thyroid Stimulating Hormone: Regulates the thyroid gland; boosts energy and supports recovery from stressful events. Cortisone: Reduces inflammation and swelling; promotes healing. Interferon: Triggers the protective defenses of the immune system to fight infection. Hemoglobin: Hemoglobin is the protein molecule in red blood cells that carries oxygen from the lungs to the body’s tissues and returns carbon dioxide from the tissues back to the lungs. Urokinase Inhibiting Factor and Factor XIII: Stops bleeding and enhances wound healing. Immunogloulin G (IgG): Antibody molecules which support the immune system. Does The Jacksonville Baby Company facilitate any meetings or events? Yes! We understand that expectant, new, and veteran parents benefit from a strong community! The Jacksonville Pregnancy and Parenting group on Facebook is a place for all parents; conventional, unconventional, crunchy/hippy, and science-based alike! We welcome expecting, new, and veteran moms and dads alike! The Jax Baby Company is dedicated to providing a community that encourages and supports each other. There you will find information, resources, and fun. We want you to share, learn, and encourage one another! Also, the Jax Parenting Network is a gathering for people to share their birth, adoption, and parenting beginnings. Breastfeeding babies and babies in arms welcome! Does The Jacksonville Baby Company offer discounts or accept payment plans? Payment options? Yes! We fully understand that while what we provide is valuable, families may need to budget for services. For that reason, we offer customizable payment options to anyone who needs that. Discounts? No, we’re already super affordable! From time to time we offer limited-time special offers such as complimentary tincture with purchase of placenta encapsulation or a small number of additional hours if booked by X date! Subscribe and get the swag! Follow Us, All The Cool Parents Are Doing It!